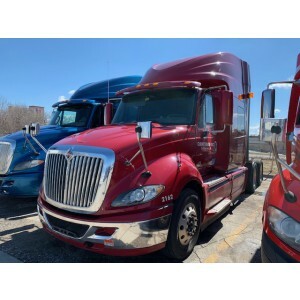 Powerful and comfortable Peterbilt Sleeper truck is the “child” of the American firm Peterbilt Motors Company that has been working since 1939. 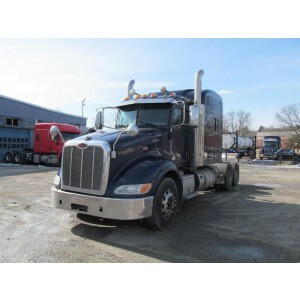 Since 1995, the company produces the vehicles with the equipment required by the customer. 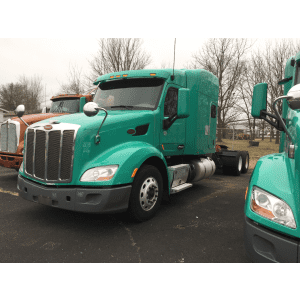 The trucker driving the Peterbilt feels comfortable with long trips. Aluminum cabin reduces the vehicle’s weight. 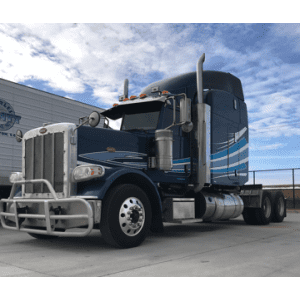 Each Peterbilt Sleeper truck for a long-distance transportation cabin is equipped with a special Unibilt Cab Sleeper System. The sleeping place can be 914, 1219 or 1600 millimeters long. 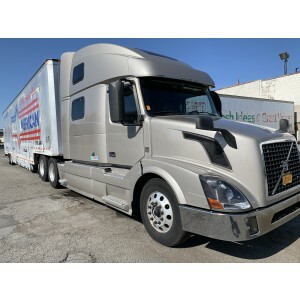 It has a soft mattress, which lets one trucker resting during the movement, while his partner, another trucker, is driving the vehicle. The cabin has adjustable seats with folding armrests and high backs with pneumatic suspension. 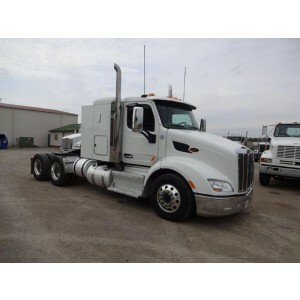 These features also exist in any used Peterbilt truck which we offer you to get for the wholesale price. A well thought-out suspension absorbs the vibrations arising when driving on uneven roads. The salon has all the necessary "amenities". In hot weather, it is possible to use a regular air conditioner. In winter time an autonomous heater is used. The steering wheel with a hydraulic booster makes driving easy. 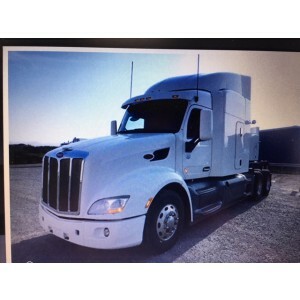 All the controls of any Peterbilt Sleeper truck have a convenient location and good functional equipment. 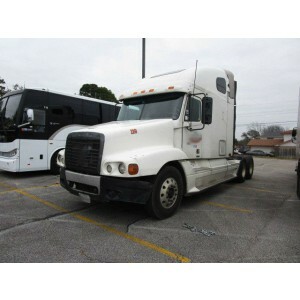 Huge rear-view mirrors provide an ideal inspection of the roadway behind the vehicle. The windshield gives a good view of the road in front of the truck's hood. A visor protects the driver from dazzling sunlight. 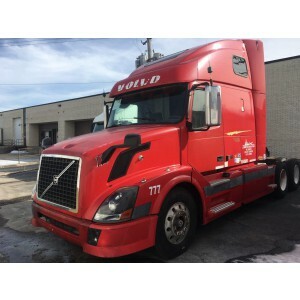 The truck is equipped with powerful optical instruments. 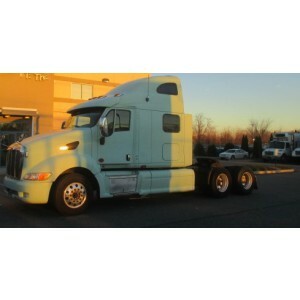 High-precision brake system allows a trucker to stop the huge vehicle very fast. Electronic security systems help the driver cope with unexpected situations. 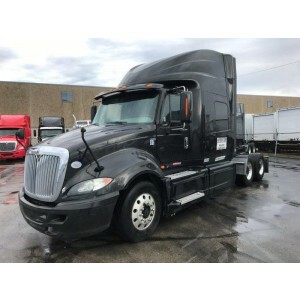 These trucks are built on the modernized chassis of the Kenworth W900L. The main feature of the base is the narrowed track of the front wheels, which makes the vehicle more maneuverable. 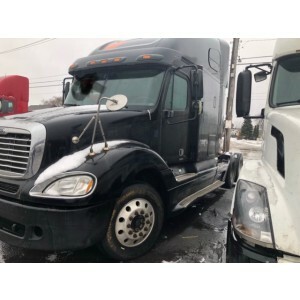 The truck has telescopic hydraulic shock-absorbers and stabilizers of cross-section stability. This stuff reduces the risk to turn the car on its side. 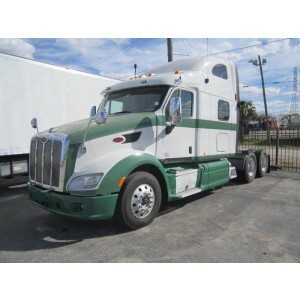 Peterbilt trucks specifications vary according to the engine installed on the vehicle. 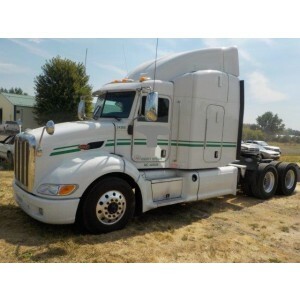 For instance, Peterbilt 379 Caterpillar C15 is equipped with a double cabin and a sleeping place. The 6-cylinder engine with a capacity of 565 hp meets all international environmental standards. It is equipped with an inter-cooled turbo. The working volume of the engine is 15 thousand cubic centimeters. The car uses diesel fuel. The transmission is equipped with a 13-speed manual gearbox. The vehicle’s wheels formula is 6x4. 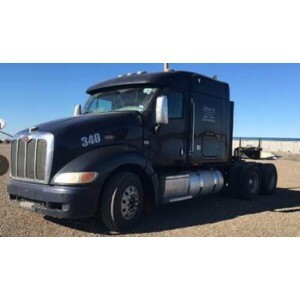 Peterbilt 379 truck with Caterpillar C10 engine has 365 hp and 2000 rpm. The car uses a mechanical 10-speed transmission. 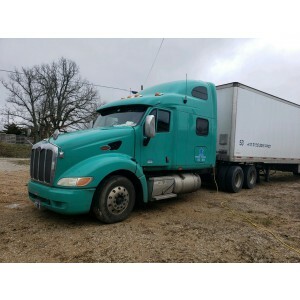 387 models with Cummins ISX Diesel with automatic transmission are mostly used in the USA. 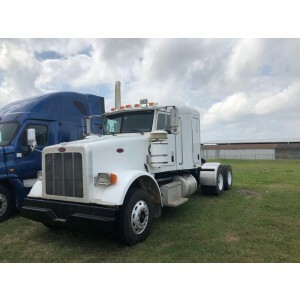 Getting any used Peterbilt, you save much buying the same reliable truck that was manufactured 50 years ago, but you get a contemporary comfort always.